Tons of new items, features and fixes make an appearance in this latest update. Wanna drink some Terraria sake? Now you can! How about pad thai? Or maybe you'd rather put on your magic hat and kimono, pick up a water gun and head outside to shoot some ducks and worms? Hey, it's your world. We only judge you if you happen to be playing co-op with us. 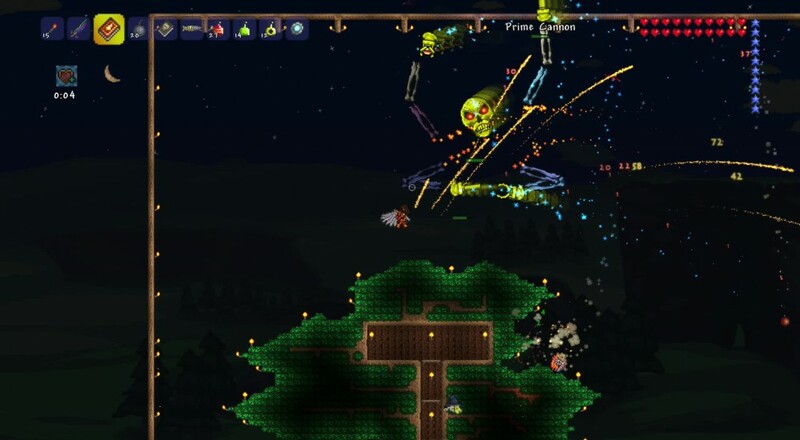 Terraria turned four years old this May, with the mobile and console ports sporting fewer gray hairs than their PC brother. Since then, development has been halted, spontaneously resumed, and a massive patch released that added so much new content it was practically a different game. The PC version always gets the goods first, with the Xbox, PS3 and PS Vita lagging a few months behind. Page created in 0.4056 seconds.